Cancer Research UK (CRUK) announces their continued partnership with the JCP Swansea Half Marathon as a headline charity partner for 2019. They are the latest charity to join forces with Wales’ biggest summer half marathon and has the longest standing partnership with the race. CRUK have been working with the team at Front Runner Events since 2015 making this their FIFTH year of helping runners achieve their best, whilst raising vital funds for cancer research. Cancer Research UK receives no government funding for their research, so its life-saving work is only possibly through donations. 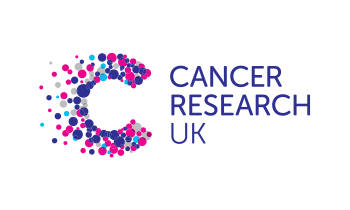 All monies raised for CRUK goes toward the development and continuation of drug discovery centres, clinical trials, research labs, cancer imaging centres, research nurses, medicine hubs and therapeutic discovery labs. If you haven’t signed up to #RunSwansea yet don’t worry as there is still plenty of time. 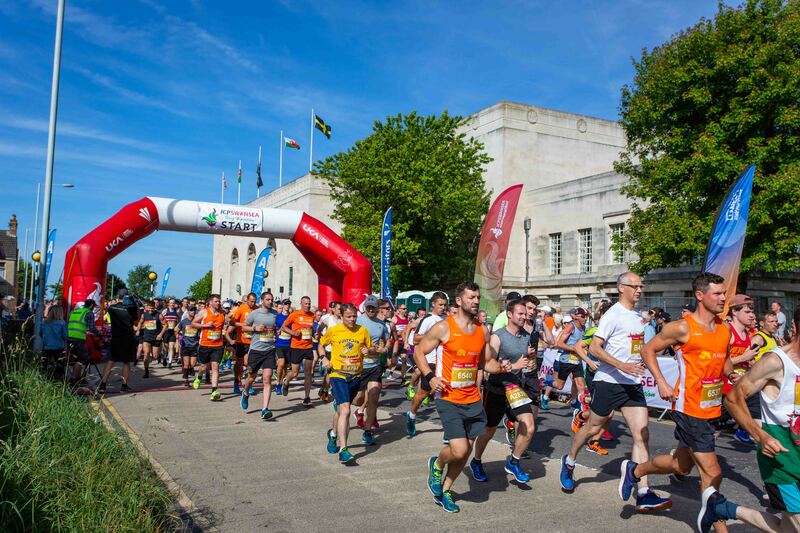 The JCP Swansea Half Marathon will take place on Sunday 23rd June starting at the Brangwyn Hall, taking runners through the city on closed roads along Swansea Bay to Mumbles, returning to finish at Swansea Museum. Volunteers from CRUK will also be supporting runners at the event with cheers of encouragement along the route, and to greet you at the race village near the finish line for refreshments in their very own marquee. The JCP Swansea Half Marathon is a road race that is flat, fast on a course that is perfect for beginners, and first-time half marathon runners. Go to www.swanseahalfmarathon.co.uk to find out how you can join #TeamCRUK and raise vital funds for their research. Headline charity places are available via the website for: Cancer Research UK, Diabetes UK Cymru and Maggie’s Cancer Centres. The race was awarded: “Best Half Marathon” in the UK at the UK Running Awards in 2017 and 2018, and runners can expect a fully marshalled course on closed roads, bespoke medal, technical t-shirt, on route entertainment and a goody bag for all finishers. Go to www.swanseahalfmarathon.co.uk for further race details, ‘like’ the Facebook page www.facebook.com/SwanseaHalf and follow @Swansea_HM #Run5wansea on Twitter and @swanseahalfmarathon on Instagram to keep up to date with all the latest news about the JCP Swansea Half Marathon. Here at Front Runner Events our goal is not just to get you to the start line, we want to do everything we can do to help you get your training right and see you cross that finish line and become a Front Runner! We have designed training plans for all levels of fitness. The Beginner plans are designed for your first-time runner looking to complete the distance and enjoy the day without putting too much importance on time. The Improver plan is designed for a runner looking to improve on previous race experiences. The Advanced plan is for experienced runners looking to build on previous performances and achieve the sought after Personal Best! The training plans should be used as a guide and work around your everyday life, we have also included some top tips from our team to go alongside your plan. Whether you are an experienced runner or taking on your first Half Marathon having a running buddy or training group can often help keep you on track when training gets tough. Having someone to run with on those days will help you stick to your plan and help you be better prepared for the big day. A Half Marathon puts your body under a lot of stress, we train for race day to get our body ready for the exertion of running 13.1 miles, we also need to prepare our bodies by practicing our hydration and nutrition. It is important to fuel before and after your run as well as during to keep your body working efficiently. Training is where you practice different types of hydration and fuelling to find one your body agrees with. With water stations available on race day to help you stay hydrated, practice your hydration on your training runs. Use your long run day to find the best pre-and post-run meal that best prepares your body and helps you recover afterwards. You will also need to practice using energy gels, bars, chews etc during these runs, these will help keep you going during your long run and also on race day. Don’t try anything new during Race Week, your body may not agree with it. Once you catch the running bug it’s very easy to ignore recovery runs & rest days as you enjoying running so much you want to get out at every opportunity. Your plan should include recovery runs and rest days. It is extremely important that you stick to your plan and give your body time to recover from a hard session, otherwise all that hard work you’ve put in could be undone by picking up an injury. Having some time off and putting your feet up won’t make you any less fit, it will have the opposite effect! Proper recovery will help your body prepare for the sessions to come to allow you to get the most out of a run and more importantly – stay injury free. Quality over Quantity – it’s not the end of the world if you have to replace your recovery runs with additional rest days, make sure you get your Long Run, Tempo & Speed sessions done. The JCP Swansea Half Marathon is a road race that is flat, fast on a course that is perfect for beginners, and first-time half marathon runners. The race has been recognised as being the “Best Half Marathon” in the UK at the UK Running Awards in 2017 and 2018, runners can expect a fully marshalled course on closed roads, bespoke medal, technical t-shirt, on route entertainment and a goody bag for all finishers. 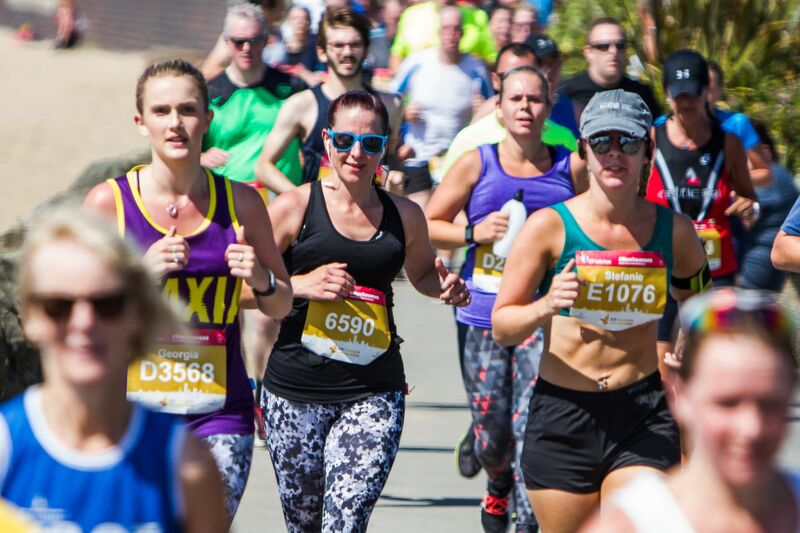 The JCP Swansea Half Marathon takes place on Sunday 23rd June 2019 – it’s become well recognised for being Wales’ BIGGEST summer half marathon, and won the title of UK’s Best Half Marathon for the past two years (voted by runners) at the UK Running Awards. Almost 6,500 registered runners took part in 2018, of all ages and abilities; from first timers to Britain’s elite. The race has firmly established itself as one of the UK’s premier road races with a quality field of UK athletes and excellent PB potential. All times must have been achieved within 12 months of the 2018 JCP Swansea Half Marathon, and evidence must be provided by PowerOf10, or Run Britain Rankings. The Veteran category winners will gain FREE entry to 2020 race. The Corporate Challenge which is open to all businesses and organistions with teams of 5 or more. Winners will gain a team trophy or award to keep and prize money of £150 to be donated to their charity of the year. 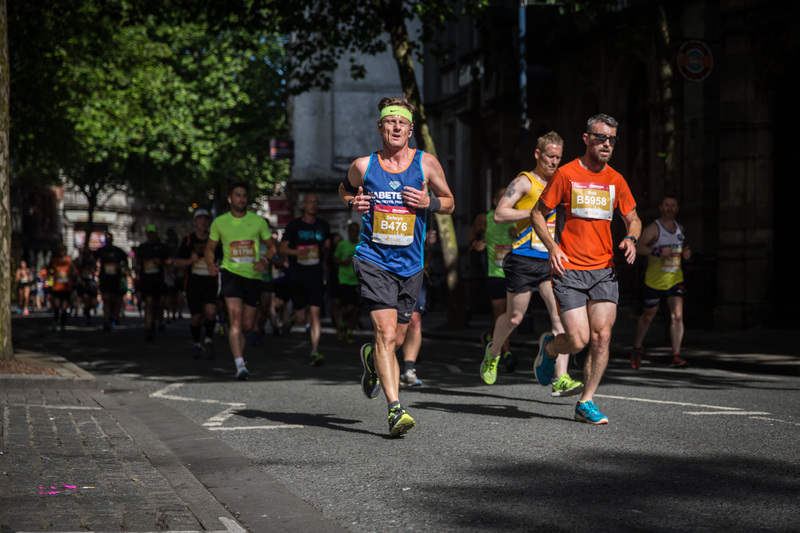 The 2019 half marathon route promises to be as impressive as ever, with the start line being held at the iconic Brangwyn Hall at the NEW revised time of 10am. Allowing runners travelling from further afield to arrive in plenty of time to take part. The route takes runners through the city centre taking in the sweeping Swansea Bay and city highlights of Swansea Marina, SA1, and Swansea Museum. A well renowned course for its fast, flat, PB potential, attracts fantastic crowd support, great entertainment on route, and beautiful scenery. Along with a field of seasoned athletes it’s sure to inspire a momentous finish outside Wales’ oldest Museum. To snap up your elite entry, email: entrants@frontrunnerevents.co.uk or to get your spot alongside some of the UK’s best athletes at the start line on Sunday 23rd June, go to: www.swanseahalfmarathon.co.uk and reserve your place today! Maggie’s Swansea has announced that for a second year they will continue their headline charity partnership with Wales’ biggest summer half marathon. This is big news for the charity that remains to be locally managed, even though they have centres across the UK, all fundraising in Swansea is kept in the community so each centre can be sustained and continue providing the much-needed care and support that is required. 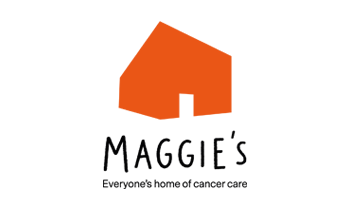 The first Maggie’s Centre opened in Edinburgh in 1996 and since then, Maggie’s has continued to grow, with 21 Centres at major NHS cancer hospitals in the UK and abroad. The service at Maggie’s includes free practical advice, and emotional and social support to people with cancer and their family and friends. Built in the grounds of NHS cancer hospitals, Maggie’s Centres are ideally placed, with professional staff on hand to offer the support people need. The Centres are places to find practical advice about benefits and eating well; places where qualified experts provide emotional support; places to meet other people; places where you can simply sit quietly with a cup of tea. 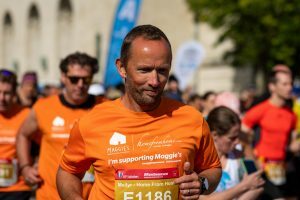 Volunteers from Maggie’s will also be supporting runners at the event with cheers of encouragement along the route, and to greet you at the race village near the finish line for refreshments in their very own marquee. The JCP Swansea Half Marathon is a road race that is flat, fast on a course that is perfect for beginners, and first-time half marathon runners. 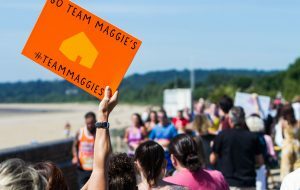 Go to www.swanseahalfmarathon.co.uk for further race details or find out how you can join #TeamMaggies and raise vital funds for their centre in Swansea. Headline charity places are available via our website for Cancer Research UK, Diabetes UK Cymru and Maggie’s Cancer Centres. 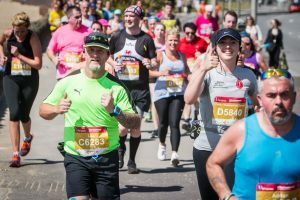 Following a successful World Record at the 2018 JCP Swansea Half Marathon, Diabetes UK Cymru has joined forces with Wales’ biggest summer half marathon this year as a headline charity partner. The aim in 2018 was to recruit as many people with Type 1 Diabetes to run Swansea. Diabetes UK Cymru are proud to announce that an amazing 69 Type 1 runners took part last year – making it the greatest number of people with the condition to run a half marathon together. This June they hope to repeat the challenge with an even bigger Type 1 team, although their charity places are open to anyone who wants to raise money for them. Type 1 diabetes is a complex, lifelong condition, and nobody knows what causes it. People with Type 1 diabetes cannot produce the hormone insulin, which controls the amount of glucose on the blood. They must receive insulin multiple times a day, either through injections or via an insulin pump. If someone has any of the 4Ts, the charity encourages people to go to their doctor straight away. There are over 194,000 people living with diabetes in Wales, the highest prevalence in the UK. 90 per cent of these people will have Type 2 diabetes, and 10 per cent will have Type 1 diabetes. We are all likely to know someone affected. Funds raised for Diabetes UK Cymru enables the charity to provide care and support, raise awareness, campaign for change and fund research to make a difference to the thousands of people living with diabetes across Wales, and their families. The JCP Swansea Half Marathon is a road race that is flat, fast on a course that is perfect for beginners, and first time half marathon runners. Go to www.swanseahalfmarathon.co.uk for further race details or how to join #TeamDUK and run towards a world where diabetes can do no harm. The JCP Swansea Half Marathon is a fast, flat road race on a course that is perfect for beginners, and first time half marathon runners. Headline charity places are available via our website for Cancer Research UK, Diabetes UK Cymru and Maggie’s Cancer Centres. On Sunday 24th June 2018 as thousands of runners took to the streets of Swansea, members of the 1st Battalion Welsh Guards deployed in Kabul on Op TORAL 6 took on the JCP Swansea Half Marathon virtually. Despite being on the other side of the world a total of 45 runners assembled in three different locations across the city to emulate the event taking place in Swansea. The runners battled dust, high temperatures and endless circles of their base location to complete the 13.1 mile course. In each location a support team provided hydration and plenty of morale to those running. Despite the heat and conditions, members of the Welsh Guards put in some impressive performances. At Hamid Karzai International Airport, a team of eight runners from the Quartermaster Department lead by Major Butler completed the course in 1 hour 45 Minutes. A team working at the Afghan National Officer Academy ran their own course with the fastest time being 1 hour 39 minutes from Sgt Davies 83. Lastly, in the centre of Kabul 22 runners completed the half marathon with the fastest time being 1 hour 25 mins from WO2 DSgt Cope. Overall the event was a strong performance from the Welsh Guards battlegroup. 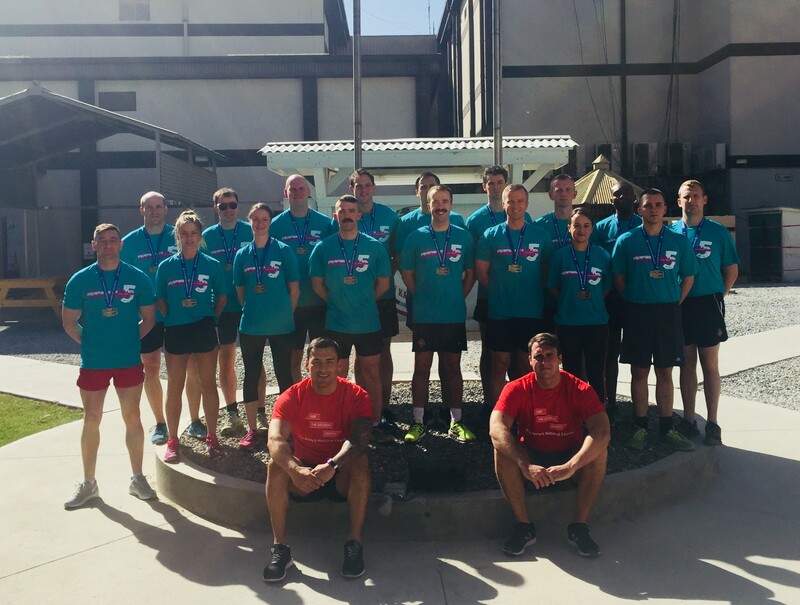 The JCP Swansea Half Marathon is the 2nd of 3 events which make up the Welsh Guards Op TORAL running challenge as they raise money for the Welsh Guards Charity and ABF – The Soldiers Charity. The Welsh Guards would like to thank the organisers from the JCP Swansea Half Marathon in supporting the event and providing medals and t-shirts to all runners of which they were proud to receive after completing the half marathon distance. In October the Welsh Guards will complete their final challenge by taking on their final Half Marathon in Kabul. 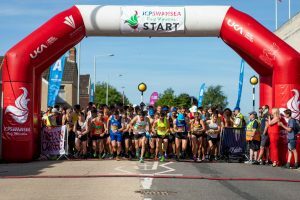 The city of Swansea was booming and basking in sunshine this weekend with thousands of fans being drawn in for a concert on Saturday at the Liberty stadium, then ending the weekend with a high when swathes of runners and spectators celebrated the FIFTH anniversary of the multi-award winning JCP Swansea Half Marathon. 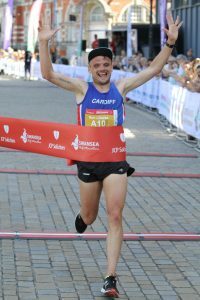 Officially the UK’s Best Half Marathon for the second consecutive year, and Wales’ largest summer race, its easy to see why the flat, fast and scenic 13.1-mile course attracts runners of all levels including; first-timers, charity runners, club runners and elite athletes from all over the globe. The starting line-up was dominated once again by Swansea Harriers men’s field but the course record was smashed by Cardiff AAC; Matt Clowes; beating Welsh Champ and third time winner Dewi Griffiths by 3 seconds, in a time of 64:43. The competition was fierce in both the male and female elite field with Swansea Harrier Josh Griffths finishing closely behind in second place in a time of 66:10. Followed by Phillip Matthews, also a Swansea Harrier who took third place, in a time of 69:35. The women’s field were equally as strong, and the winner; Tracy Barlow of Thames Valley Harriers set a new female course record in an impressive time of 73.51. Runner up Laura Graham of Mourne AC finished closely behind in second place, in a time of 75:57, with North Belfast Harrier Gladys Ganiel taking third in 77:23. Runners were happy to be joined by wheelchair athletes who started the race before the main field; with all time champ Richie Powell, who took first place in a time of 62:04, followed by Les Hampton of Cheltenham & County Harriers, Ron Price, and Stehanie Benac. JCP Solicitors were announced once again as the 2018 Corporate Champions, winning with their best 5 team runners; Matthew Reynolds, Rob Warlow, Benjamin Griffiths , Rebecca Bennett and Aled Jones. This year saw thousands of runners achieving Personal Bests on the newly designed course, which has is said to be flatter that previous years. Runners were ringing the PB bell at the Race Village all day and thousands celebrated their achievements on social media on a day that had near perfect running conditions. Thanks to the team of race pacers provided by Xempo Race Pacing. The race set off from the iconic Brangwyn Hall in Swansea and was started by Hayley Davies from JCP Solicitors. Welsh singing star Ros Evans sent the runners on their way by singing a rousing rendition of the Welsh National Anthem at the start of the race, whilst bands played along the route to keep the motivation going. 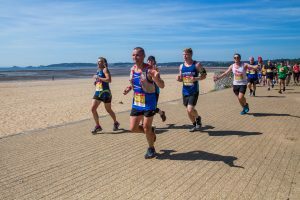 The race proceeded on fully closed roads past Swansea Castle and along the magnificent six-mile stretch of Swansea Bay towards Mumbles, with views of the iconic pier and lighthouse. Runners were cheered on by charity supporters, volunteers, fundraisers and spectators along the route, and were helped across the finish line at Swansea Museum by a lively and supportive crowd. It was a day of records and achievements alongside some substantial charity fundraising, with more charities wanting to be part of the race than ever before. The headline charities included; Alzheimer’s Society, Cancer Research UK and Maggie’s Cancer Care. Other charities affiliated with the race included: ABF Soldiers Charity, Mind, Wales Air Ambulance, Bloodwise, Cancer Research Wales, Noah’s Ark Childrens Hospital, Diabetes UK, Tenovus Cancer Care, Fundraising for Steps, and Paul Popham Fund. It’s expected that this year’s race will have raised more funds for charity than it has, since its very first year five years ago. In addition to the main event was the Family Fun Dash that once again proved to be a popular part of the day, allowing over 100 young runners and families to experience the thrilling atmosphere of a big sporting event in the city. Dash runners took off from Swansea Castle taking in the last 1k of the half marathon route, crossing the official finish line at Swansea Museum before cheering the main field of runners of the big race. JCP Solicitors: 5 fastest times between; 01:20:51 to 01:44:22. Wales Air Ambulance: 5 fastest times between; 01:23:16 to 01:35:51. The full results and race day photos are available on the website www.swanseahalfmarathon.co.uk. Race Director David Martin-Jewell said: “Today was always going to be a challenge for me and my team as well as those running the 13.1 miles. As a runner and with a team of runners working behind the scenes, we always try and to meet the high expectations for participants. The new start and finish along with being the 5th anniversary of the JCP Swansea Half Marathon, makes it more special for us. Our aim is to deliver first class running events and with the changes made to the route and improvements undertaken behind the scenes, I feel as though this was something special for our great city. We are thrilled with the turnout and feedback we have received so far for this year’s race, and hope that we have been able to take the event to another level. JCP Solicitors remains to be the title partner and founding sponsor of the Swansea Half Marathon and has confirmed their commitment to the race until 2019. Other sponsors and partners of the 2018 race include; Matthews & Co chartered accountants, HMT Sancta Maria, Race Nation the race entry platform, and Home from Home self-catering holiday agency. Event delivery and hydration partner of the event is Welsh favourite Brecon Carreg, which provided water for every runner along the route. The team behind the event are proud to announce that this year’s race will be televised on Channel 4 on July 7th from 7am (provisional) so everyone involved will be able to watch all the highlights of the day on TV as well as international sports channels from this date. The date for the JCP Swansea Half Marathon has already been set for next year and will take place on Sunday 23rd June 2019. Early bird entry is now open, with standard entry frozen at £30 (+booking fee), or £28 (+booking fee) for affiliated runners until 31st August. Entry from this date onwards will rise to £35 and £33 respectively. To sign up or find full results and photos go to www.swanseahalfmarathon.co.uk You can also like the Facebook page www.facebook.com/SwanseaHalf and follow @Swansea_HM #RunSwansea #FromTheCityToTheSea on Twitter to stay up to date with all the latest news and updates. The organisers of the JCP Swansea Half Marathon have launched a community fund that is aimed at encouraging and retaining young people in sport. The fund, Leave More Than A Footprint, has been created primarily through the generous donations of the entrants to the JCP Swansea Half Marathon over the last 2 races. Applications are now OPEN for both individual and group/clubs to apply to cover costs for equipment, sports lessons, training and much more. Beneficiaries must be 18 years or younger on 1st July 2018 to apply for funding. To apply for a grant simply head to www.swanseahalfmarathon.co.uk/community-fund/, download an application form and return it to Front Runner Events. The 2018 JCP Swansea Half Marathon takes place this Sunday 24th June, go to www.swanseahalfmarathon.co.uk for further race details, ‘like’ the Facebook page www.facebook.com/SwanseaHalf and follow @Swansea_HM #Run5wansea on Twitter and @swanseahalfmarathon on Instagram to keep up to date with all the latest news about the JCP Swansea Half Marathon. 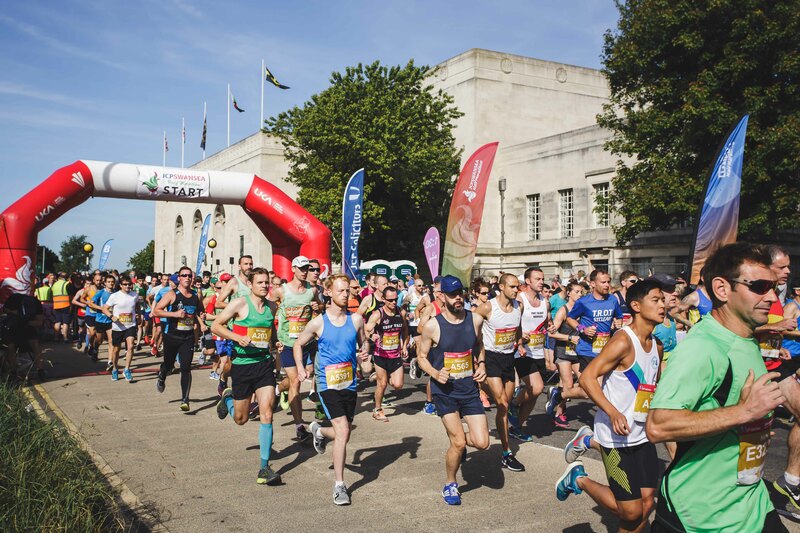 Runners, athletes, spectators and crowds of supporters will adorn the streets of Swansea this Sunday as the biggest race of the year stages its 5th event for the city. With only days to go until the JCP Swansea Half Marathon takes place; on Sunday 24th June, the city will once again be welcoming visitors from all over the globe. As the event continues to grow from strength-to-strength the race has beaten previous participant numbers, attracting the largest field of runners to date. And it’s easy to see why – its fast, its flat, boasts a stunning route and runners rave about it! Being recognised as the UK’s Best Half Marathon (for 2 consecutive years), and attracting journalists to write about the race in the best publications around, might also have a little something to do with it! 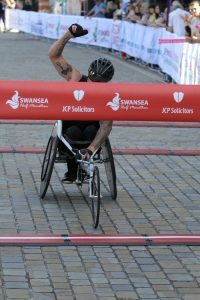 The JCP Swansea Half Marathon is favoured for being a flat, fast and scenic 13.1 mile course, which is equally suitable for first-time runners as it is for club runners, elites and wheelchair athletes. It attracts a strong elite field from Wales and beyond, drawing in athletes from as far as South Africa and Australia. 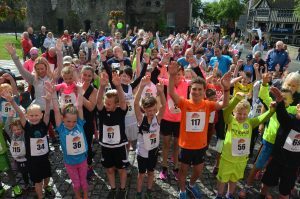 Swathes of runners taking part will be raising money for charity, and getting into the spirit by sporting their best fancy dress, or running with their club team. There will also be an attempt by a group of runners to break a new World Record for the most type 1 diabetics to run a half marathon. One of the 88 diabetics to take on this challenge is; Anthony Fisher who is 80 years old, has been diabetic for 41 years and has taken part in 70 half marathons over the years and running London Marathon in 1991. The race itself offers a fantastic platform for charity fundraising and many will still be raising funds up until race day for their own causes and the headline charities; Alzheimer’s Society, Cancer Research UK and Maggie’s Cancer Centre. The race has also attracted some famous faces in previous years with the likes of sports personalities; Shane Williams, Ryan Jones, Ian Gough and TV presenter CJ De Mooi, gracing the route. This year we can look forward to welcoming Torchwood and Broadchurch actress Eve Myles, ITV news presenter Andrea Byrne, and our very own Captain Beanie who will be seen wearing race number 57! Families will also be joining in at this year’s SHM Family Dash. Enabling young runners and families to experience the thrilling atmosphere of a big sporting event in the city. Participants will get that finish line feeling when they reach the official finish at Swansea Museum taking in 1K of the half marathon route, before cheering on the athletes of the main event. Starting at Swansea Castle at 9.30am, the dash will take place once the half marathon runners have passed the line. All entries for the dash will close on the 20th June and bibs can be collected on race day from 7.30am at the Information Point in the Race Village (sited at Museum Green). Runners and spectators alike will be entertained during the race by Bands Across the Bay; showcasing some of the best acts in South Wales. A festival atmosphere and fantastic crowd support are expected, as we welcome Welsh singing star Ros Evans to deliver a heart-stirring performance at the start, and runners will be surprised and delighted with performance spots at locations along the route. 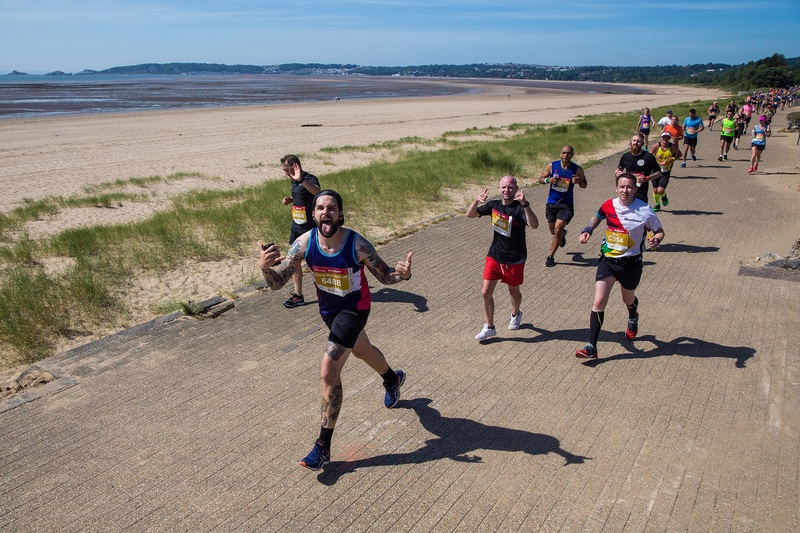 With everything from rock, rhythm & blues to choirs and drumming groups, each and every one of them will be hoping to motivate the runners, giving them the boost they need to run the distance around the beautiful Swansea Bay. Participating athletes will be keen to know that there will be a team of Xempo Race Pacers at the event. Their team offers fantastic support during the race, to help runners get their pacing spot on to achieve their target time on race day. The pacers will run the race in the following estimated times: 1.30, 1.40, 1.45, 1.50, 2.00 hours, 2.10, 2.15, 2.20 and 2.30 hours. Runners simply need to look out for their pacer within their designated pen and try to stay with them throughout the race to ensure accurate timing. The Race Village will be located in Museum Green which is open to athletes and spectators from 7.30am on race day, and will host; the headline charities, information point, massage tent, cool down area, and a selection of food stands and stalls. All bags will be collected near the start area and loaded onto an articulated lorry provided by Owens Group to be collected on from the LC car park following the race. Runners are being advised to avoid bringing a bag, but if they must, ALL bags must be clearly labelled and will be subject to inspection. The race will start at 9.00am outside the Brangwyn Hall. 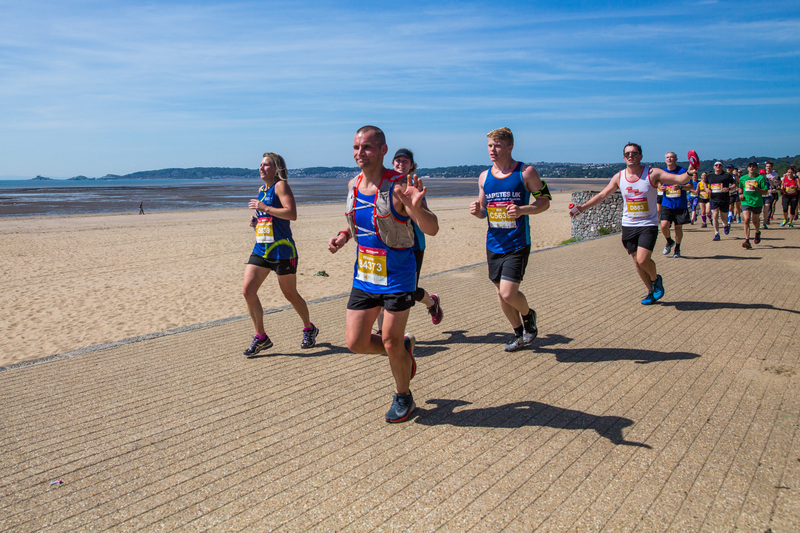 The route takes runners on fully closed roads past Swansea castle and along a magnificent six-mile stretch of Swansea Bay towards The Mumbles, with its iconic pier and lighthouse. 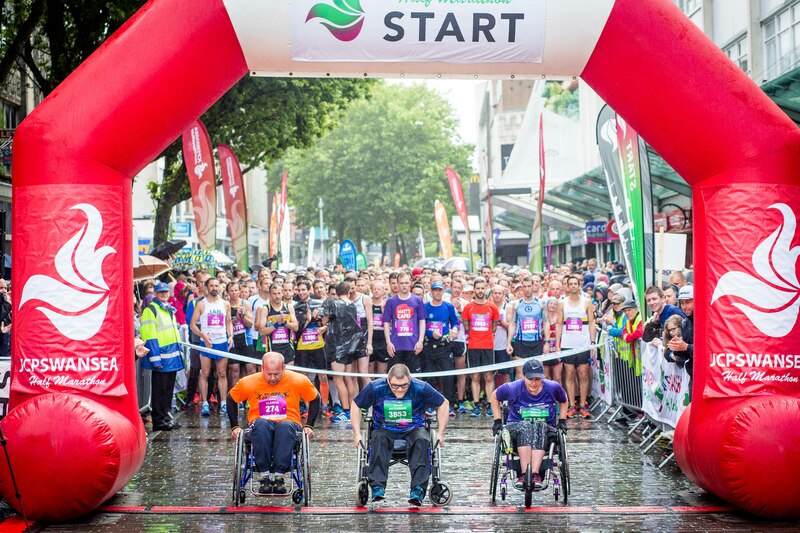 The wheelchair race will start at 8.50am prior to the main field of runners and the SHM Family Dash will commence at 9.30am. 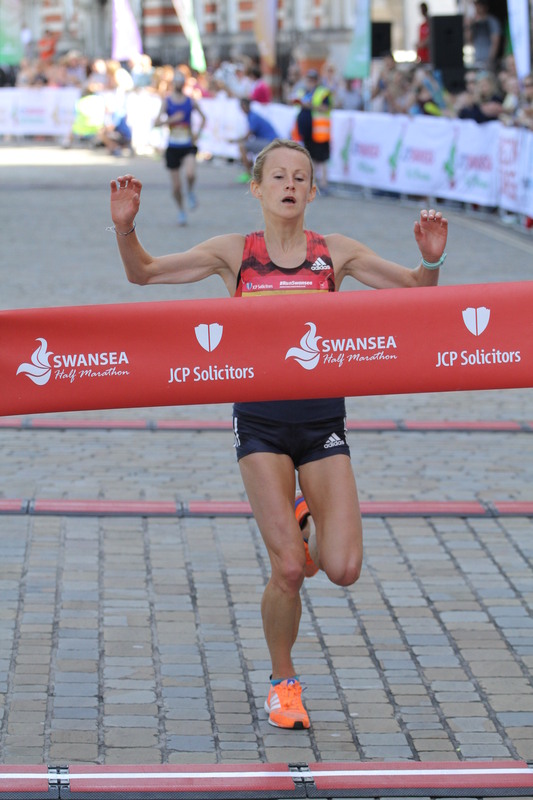 Title record holders of the JCP Swansea Half Marathon include: European Champion & Swansea Harrier; Dewi Griffiths with a record time of 64:48, and Run Fast Hannah Walker who coasted her way to victory in 2016 in a time of 74:32. 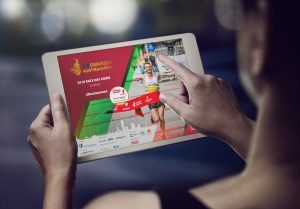 Organisers expect to see a strong field of elites at this years race, with competitors coming from Ireland, Wales, England, Scotland and New Zealand. The rivalry and competition is expected to fierce, with the hope from each competitor to gain recognition and the much sought after qualifying times. The team behind the JCP Swansea Half Marathon continues to work with their founding sponsor JCP Solicitors and long-term partners that include; Matthews & Co, HMT Sancta Maria, Race Nation (the integrated event registration platform), and Home From Home (the self-catering accommodation agency). The event delivery and hydration partner remains to be the Welsh favourite Brecon Carreg, who will help runners maintain their hydration levels at stations along the route. For further event details or to follow your loved one on the live results to see how they are doing out on the course you can via Race Tracking online here: www.swanseahalfmarathon.co.uk To stay ahead of all the news as it happens like the Facebook page: www.facebook.com/SwanseaHalf or follow @Swansea_HM #RunSwansea #FromTheCityToTheSea on Twitter. 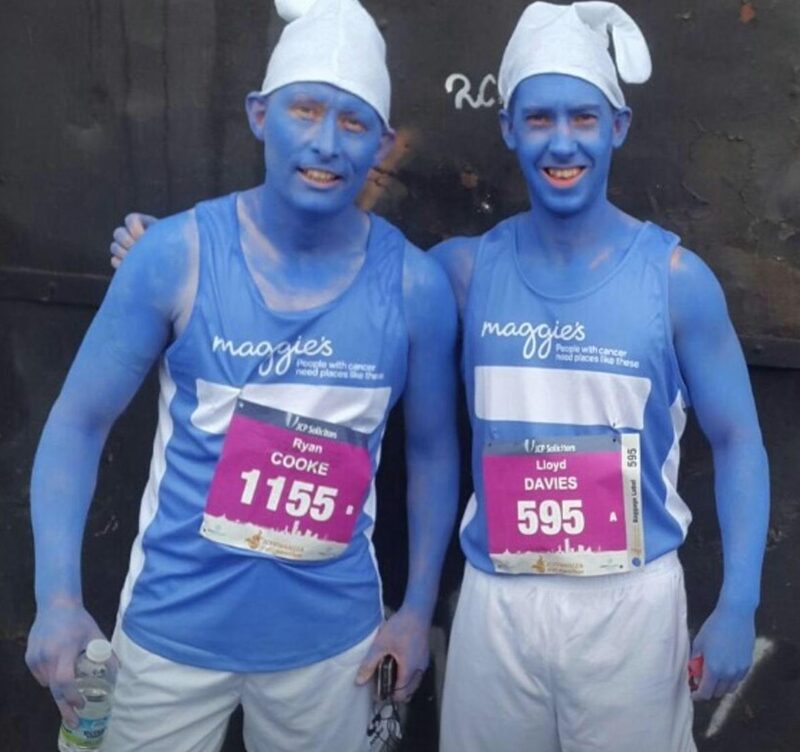 Charity Champion, Ryan Cooke, ran the 2017 JCP Swansea Half Marathon for #TeamMaggies dressed as a Smurf, with his friend Lloyd Davies. Ryan hopes by telling his reasons for running for Maggie’s Cancer Centre last year, will encourage more people to fundraise for them in 2018’s race, which takes place on Sunday 24th June. “Personally I think Maggies is a fantastic charity as they help people cope with the stress, anxiety and the effects the families struggle with when a loved one’s fighting Cancer. I’ve lost 1 grandmother and my wife has lost 3 grandparents to this awful disease. One of her grandparents Carl Quick passed away in Glangwili Hospital on the actual day of the Swansea Half Marathon. I had a phone call as I crossed the finish line. I scanned the crowd thinking that my family had come down for support. Unfortunately Carl, who had complained about feeling short of breath for the last few days, had to be admitted into hospital. I got home as quick as I could, showered & went down to Carmarthen as soon as possible. We were waiting for his results from the tests when they found the Cancer. He must have been suffering with it for a while but had just put it down to a bad back from manual jobs & hard graft. Carl died that evening. I was very close to my wife’s Grandad as, having lost my own Grandfathers at a young age, he helped fill the void. If like Ryan you would like to become a charity champion and fundraise for Maggie’s then you can sign up here. The JCP Swansea Half Marathon is a fast, flat road race on a course that is perfect for beginners, and first time half marathon runners. Headline charity places are available via our website for Alzheimer’s Society, Cancer Research UK and Maggie’s Cancer Centres. The race has recently been recognised as being the “Best Half Marathon” in the UK at the UK Running Awards for the second consecutive year and runners can expect a fully marshalled course on closed roads, bespoke medal, technical t-shirt, on route entertainment and a goody bag for all finishers.